Momma Told Me: Family and dreams are what make life worth living. I'm not really one for vacations; sometimes they seem like more work than relaxation; especially when you factor in plane flights and connections. Journey too far from home and culture shock will surely get you. As someone who tends to have a Type A personality, the logistics of getting myself, let alone a family, anywhere on time is terrifying. Let's face it, I take my home responsibilities just as serious as my work ones, and I have a hard time 'letting go' upon arrival. Last year we ventured from California to Philadelphia for a week long excursion to spend some time with Momma (located in Ohio). I won't sugar coat it, and most of you know, right out of the gate it was a disaster. The two hotel rooms I had booked at a 4 star Sheraton, and prepaid months in advance, were not available. Even though the chain refused to make the situation right in any way, and we relocated to a nearby hotel infested with wasps in the middle of June Philly heat, I was determined to make the best of it. No matter the unexpected obstacles, memories were made that will be cherished for a lifetime. Atop my mantle, which is more of a display ledge than anything, Jeremy and I have matching banks. We use 'piggy' banks a lot in our household, actually; it's safe to say I squirrel money away like a, well, squirrel. Odds are I'll be going on a vacation long before Jay (love you), as I tend to be more disciplined in budgeting, but these pots remain none the less. Current saving funds include tattoo fund, rainy day fund, and vacation fund. Now, I'm NOT your average gal; I grew up and was raised minutes from the beach here in Southern California, and have no desire to venture towards warmer climates or white sand beaches. While Hawaii and Mexico remain popular destinations for friends and family I have always gravitated towards equally colorful, colder, destinations. In high school my best friend got to take an academic related trip to Europe for 5 days and I about turned green with envy. Just drooling over the lush landscapes and listening to her stories of culture and history, I became determined then and there to visit Ireland (#1) someday. If one can get past airfare (I'd have to cross the country before departing overseas), the week long tour group packages are quite inclusive. 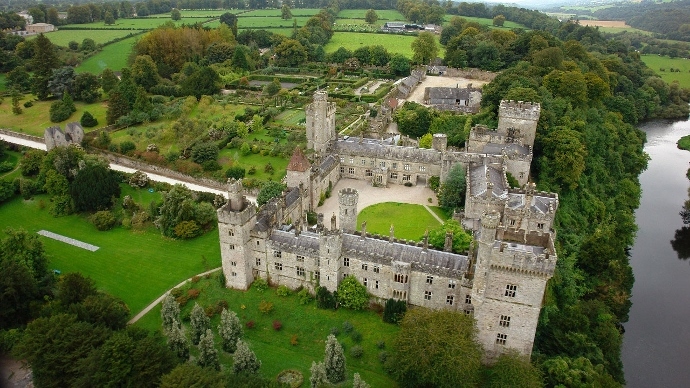 I always imagined I'd go on honeymoon to see romantic castles and stay at rustic inns. 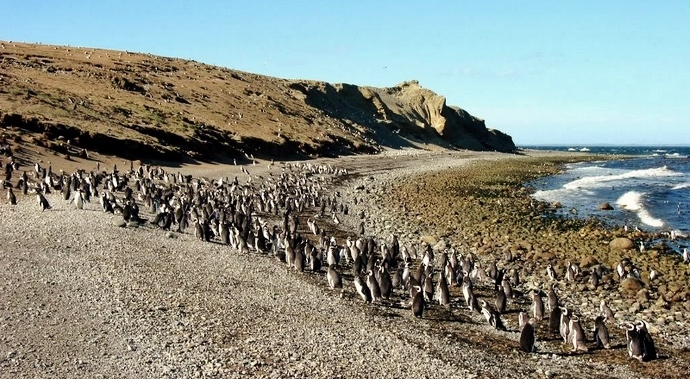 If you think Europe will be cold and dreary, then you'll not likely be jumping on my second dream vacation; a trip to Peninsula de Valdes, Atlantic Patagonia, to literally Walk With Penguins (#2). You'd be surprised just how many travel agencies have packages that involve walking with penguins; though, understandably, there truly are only 2 destinations this is done. Most excursions I've seen involve a lovely plane flight down to the tip (Cape) of South America, then another short charter flight to the Antartic environment where visitors get a few hours to walk among and dine with these black and white beauties in their natural environment. Finally, the vacation I am sure will happen next, for me, a cruise. I was supposed to accompany Momma and Stepdad on a Caribbean cruise my senior year (as a graduation gift) but parental politics (divorce issues) got in the way and I was left at home. Ever since I have been determined to get my but on a boat at all costs. But I'm not headed to Pina Coladas and Coconut Milk, no way- I've got an Alaskan Cruise (#3) on my mind. This, for me, is the most achievable Bucket List vacation. The two of us can drive up the coast to Alaska, where we would leave port for 4-5 days to view the Aurora Borealis and maybe even set foot on ice during a day tour. Decent level packages average $400/person; and I've already got that in my vacation bank! 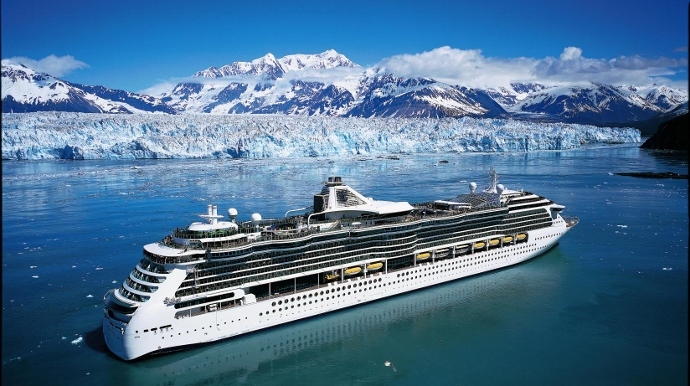 The problem with an Alaskan Cruise is that there simply are so many cruise lines and voyages to pick from. It's almost overwhelming, especially for a first time cruise patron; this will take plenty of planning, but be well worth it! What Daughter Says: What dream vacations do you hope to make real someday? I am not interested in cruises at all but Ireland would probably be very intersting. I would love to travel. I would love to visit Ireland and Scotland. I would also like to go to Hawaii since I was born there and don't remember it. Those are fantastic dream vacations! I would love to visit ALL OVER Europe, Englands, Ireland and Scottland specifically. I really want to go back to Germany. And one day I'd love to take a cruise! Hawaii is on my bucket list as well as my dream vacation list. I am from the coast of NC but I HAVE to see those blue/green waters just once! I want to take my kids to Hawaii and visit my father in Thailand. Alaska is on my list too. I would love to go to Thailand and I am going this summer! My husband recently went to Ireland while he was deployed in Germany and loved it i am sure we will go as a family some day. I would also love to walk with penguins. we have been watching happy feet and the penguins are so cute lol. I went on a cruise when i was younger and will never go on one agaain! I would love to go to Versailles once and to Egypt. I've never really gone on vacation. I would love to go to Ireland or Scotland or Australia or many other places! So when are you going? Can I come along? Just kidding. I would love to go to Paris. France, not Texas. Ireland sounds great!! I was so close on going while I was in Europe, but didn't get to go at the last minute. Thailand is a destination I would love to go to! I would love to go to Hawaii for a vacation. But these places seem like they would be a great vacation. Thanks for sharing. I would love to go on a cruise to somewhere warm though a cruise to Alaska is also on the bucket list. My dream vacation is to tour Central America. Oh, I love these pictures. My dream vacation is to visit Italy. I would love to travel internationally. No one place in particular just all around. That would be so awesome! I would love to go to Europe, so I definitely can relate to your Ireland dream. However, the first thing I thought of about the penguins was penguin poop! I don't fly anymore, so it seriously limits my vacation options, so I guess I would like to visit Quebec to get that old Europe feel and maybe the Florida Keys to get the tropical experience. I would also love to go back to Alaska some day. I really want to go to Hawaii. I think I'd like to bring my camera and take amazing beach pictures while I'm there! I'd like to visit egypt this summer. I would love to go to Ireland, Scotland, England, and then basically all over Europe :) I think if I were ever lucky enough to win the Lotto, I would spend like 6 months of so just traveling! And I would love to take a cruise also, but I would probably pick someplace warm, LOL. The #1 thing on both my husband's and my bucket lists is to swim with and kiss a dolphin and we are trying to make that come true within next 1-2 yrs YAY. Also on our bucket list is like in your post, an alaskan cruise especially bc of the breathtaking scenery, the precious wildlife (we crazzzzy loveee animals of all kinds) and the magical northern lights! My husband dreams of going on an Alaskan cruise.. and I would love to take him! I just want a laid back vacation on the beach....this year we've even considered vacationing on our own local beach just 10 minutes away...why leave paradise, when it's only 10 minutes away:)? I have always wanted to go to the UK, but I would like to take my children to Disney World, but the youngest two have autism and trips to the local grocery store can be challenging!